Tokita Seed is a third generation company founded in 1917 by Mr Taisuke Tokita. 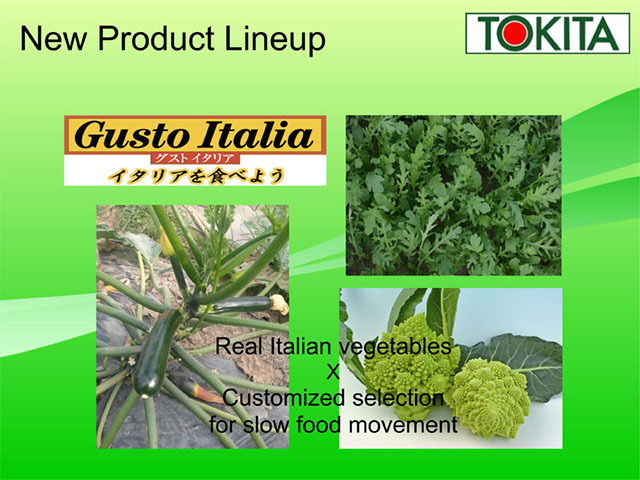 Tokita is become one of the most important in the whole seed industry. With it’s hundred years of activity Tokita Seed is nowaday known as one of the most reliable and important seed companies in the seed industry.